Hike, jog and bike a trail connecting numerous parks and three outstanding wildlife viewing sites along the Lower American River. Background: The Sacramento region has many tourist draws but one of its most popular outdoor destinations is the 23-mile-long Lower American River Parkway. This hiking, biking, and equestrian corridor flanks the American River along much of its length within Sacramento County. The 4,000-acre corridor runs from Discovery Park, at the confluence of the American and Sacramento rivers, to Folsom Lake. An additional 9-mile extension connects the county’s parkway with the City of Folsom. The parkway is a rich assortment of parks, neighborhood access points and established sites, such as Effie Yeaw Nature Center, Nimbus Hatchery, and Folsom Lake. Five million people visit the parkway each year. The County of Sacramento had the foresight to purchase land along the river, safeguarding much of the current corridor by 1969. Worn grinding holes in rocks along its flanks and huge piles of dredger tailings are signs of the Maidu Indians and gold miners that once inhabited its shores. Oaks, sycamores and other riparian vegetation line the banks of the meandering river and provide a rich assortment of habitats for resident and migratory wildlife. Even though homes are built along its edges in some areas, the parkway remains a magnet for urban wildlife. On a summer day, it is common to see walkers, joggers, people on bikes, equestrians, anglers, and people enjoying water sports on the river. The Habitat: The river is bordered by dense riparian vegetation in some places, interspersed with manicured parks and golf courses, rocky ramparts, and homes. Sycamores, alders, willows, and other water-loving trees line its banks. Wild blackberry, lianas of grapes, and other dense vegetation form an almost impenetrable understory in some areas. Massive valley oaks, live oaks, and California buckeye grow well-above the water line. Poison oak is very common. Rock outcroppings and bedrock include grinding holes used by the area’s Maidu Indians. The cold waters of the river serve as a spawning corridor and rearing waters for Chinook salmon, steel head trout, rainbow trout and Sacramento perch???. Numerous gamefish have been introduced, making the area popular with anglers. In the fall you can stroll along the banks of the river at Effie Yeaw Nature Center and may see spawning salmon headed upstream. Several miles upstream they are diverted by the fish ladder at Nimbus Hatchery, which sits near the foot of Folsom Dam. The parkway is both paved and dirt. Many of the parks and access points include parking areas, restrooms, picnic sites and other improvements. The Experience: You may access the parkway at some 15 parks and other sites. This tour begins at Effie Yeaw Nature Center, located in Ancil Hoffman Park, then stops at Nimbus Hatchery, and ends at Willow Creek, on the banks of Folsom Lake. While there is river access at Effie Yeaw Nature Center, it is not located on the parkway. **Begin at Effie Yeaw Nature Center, which can be accessed by following the directions provided after Special Tips. Most of this 77-acre site owned by Sacramento County is oak woodlands, but there are three ponds and excellent river access. Stop at the nature center to see some of the natural history displays and orient yourself to the site. There are numerous captive wild animals that are being given care at the center because they cannot be released. Step outdoors to see native plantings and stroll through a recreated Nisenan Maidu village. Then choose among three-self guided walking on trails, where you may see deer, coyotes, woodpeckers and songbirds, and a variety of waterfowl on the ponds. Make time to enjoy the river, where you may see great blue herons, waterfowl, river otters, and spawning salmon during the fall. For more information about Effie Yeaw Nature Center, click here. **Continue to Nimbus Hatchery using the directions provided after Site Tips. The salmon that passed by Effie Yeaw Nature Center make their way upstream following an instinctive urge to spawn. Today, they cannot swim past Folsom Dam to the tributaries where their ancestors once spawned. Instead, a fish ladder diverts them into Nimbus Hatchery, where they will be spawned. Once they have climbed the fish ladder, Department of Fish and Game workers take the eggs from the females and milt (sperm) from the males, then raise the young that are produced. During spawning season, people crowd to see salmon leaping up the fish ladder, and can often watch the spawning process from observation windows. Daily feedings also generate interest as workers feed the growing young salmon in the hatchery’s long raceways. A visitor center provides information about the region’s natural history. Nimbus Hatchery also spawns steelhead that return to the area and adjacent American River Hatchery spawns and rears rainbow trout throughout the year. For more information about Nimbus Hatchery, click here. **From the hatchery you can walk upstream about three miles to Willow Creek or drive to the Folsom Lake State Park with the directions provided after Site Tips. Park at Willow Creek and savor the peaceful surroundings. Move away from the parking area to take in the changing seasonal array of migratory songbirds and waterfowl that seek the lake and its borders. During winter, gulls are abundant. Great blue herons and great egrets have a rookery of some 80 nests in the area; they are present from February and until August. [not much meat on the website!] For more information about Willow Creek/Folsom Lake, click here. Wildlife and Where to Find It: Salmon spawning is very seasonal; check with Effie Yeaw Nature Center and Nimbus Hatchery for timing and the viewing schedule. The heron rookery at Willow Creek is also seasonal, with peak nesting occurring during [what months]. If you walk or bicycle on the parkway, be aware that though still rare, mountain lion sightings have increased, particularly between dusk and dawn. Viewing Tips: You will need patience and some luck to see deer, wild turkeys, and songbirds. Take a break from walking and remain quiet for awhile to see what comes into view. 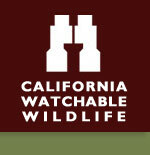 Site Notes: Go to Sacramento County Park’s website at … for detailed information about parkway access points and a map. If you plan on walking between destinations, be sure to check the mileages, calculate for your return trip, and bring plenty of drinking water and other necessary personal items. Sacramento County does not recommend swimming in the river due to its swift current, cold water temperatures and the presence of submerged snags and other debris. There are marked access points but no lifeguards. If you swim, don’t swim alone and wear a life vest. Parking Notes: Parking fees vary.